The JoomlaShine team understands that it's not easy for you to decide whether to buy a product or not, since you have a million questions in mind about how exactly a template works. 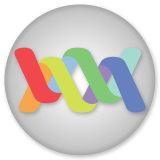 Therefore, we spend time on building a "Demo Builder", which will help you test all templates easily. What you get from the DEMO BUILDER? You can access the back-end of the demo builder and do anything you want. You are also free to edit content and graphics of the Demo site. The Demo is available for 10 days. You do not have to pay for anything to try this. Scroll down and discover! 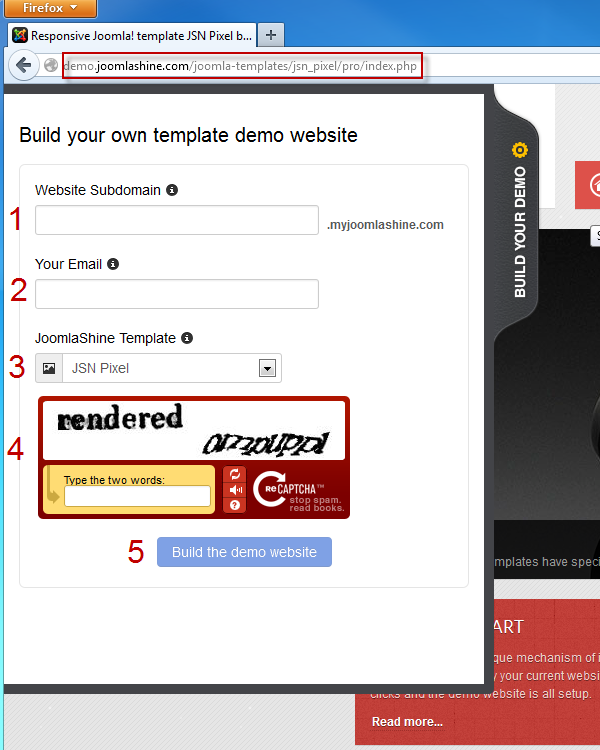 From now on, in the demo site for each JoomlaShine template , you can see a tab "BUILD YOUR DEMO" on the left side. When you click on it, a small tab "build your own template demo website" appears. Here we start the journey! Your email: Please use your correct e-mail address because you will receive information from JoomlaShine at the address you register. JoomlaShine Template: You choose the JoomlaShine template that you want to play with. You type the captcha to prevent spammers. Click to the "Build the demo website" and finish. After that, you will be provided with an account - a username and password - to access the administrator. Then, you can play with the Demo we've created for you. You like it, right? Now it's your turn. Go to the demo site for any of JoomlaShine's templates and start your adblank. Please feel free to share with me your comments.